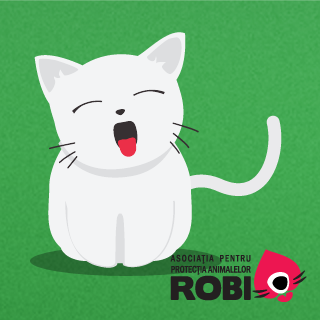 Currently, Robi Association takes care of +/- 20 adult cats, most of them came into our care out of limit situations – in most cases, saved from certain death. They live in an improvised space inside a courtyard, where they have access to a heated room (some 3-4 sqm.) and an enclosed outdoor space (some 7-8 sqm.). Anyone who owns and cares for a cat knows that these are by far not the ideal living conditions to satisfy the needs of a feline. Regardless the fact that they are protected from the dangers of the streets, the cats do not have the life as happy as we wish them. Along with the problem of space, that is too little for them, sociable indoor cats miss the attention and love from humans. Through this project, we propose ourselves to find owners for all adoptable cats and to offer to the others a more decent life and better living conditions, even if they will remain in our care for the rest of their life. 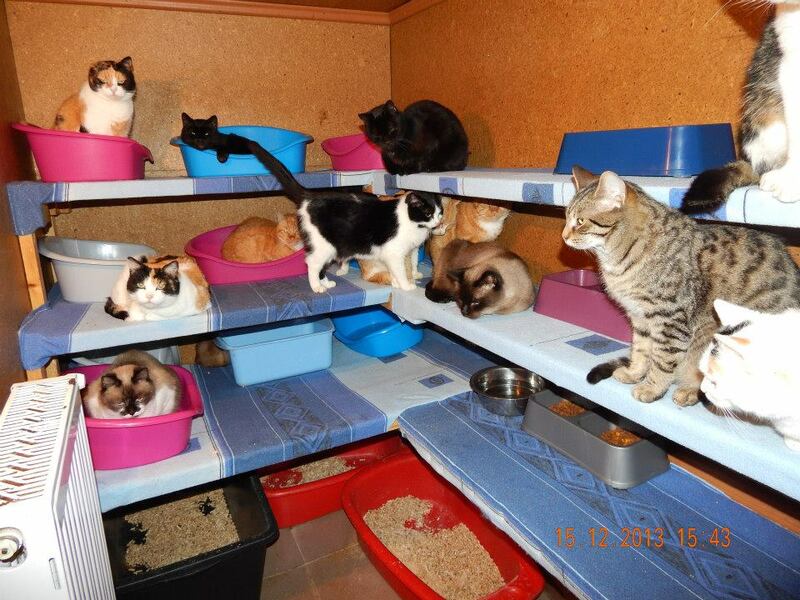 Beside those cats, the volunteers of our association permanently foster other cats, generally kittens, but also adult cats saved from special situations (wounded, hit, abandoned etc.). – constant expenses for maintenance and repairs necessary for the space they live in. 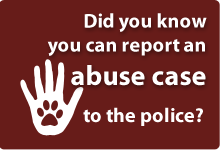 As you can imagine, both the care of cats and the maintenance of their house demands for constant and continuous costs. Any kind of help, no matter how small or big, is appreciated in the same measure and helps us offer a better life to the cats. Or through the chip-in especially created that you can find on the right of the page. (Română) Tik si Tack – pentru adoptie. (Română) Pisicile Robi in asteptarea adoptiei. (Română) Multumim doamnei Veronica S., pentru complexul donat. In this space live together 20 of Robi’s cats. Most of them are half feral therefore they can’t be put up for adoption. The last feral cat brought is a Siamese that hides wherever he can. 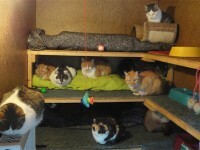 A few of the cats are tame enough to be adopted but no one has offered to give them a chance. The space they share is rather small, but we are hoping to extend both the indoor and outdoor space in the future.